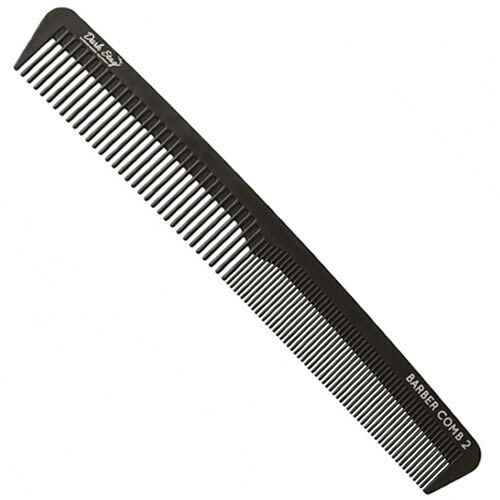 Extremely strong and durable carbon fibre cutting comb from Dark Stag. The Dark Stag Barber Comb 2 is 183mm long and is built to be a robust addition to the barber's toolkit. It has a maximum depth of 25mm and comes in a smart black finish. A perfect partner for Dark Stag's barber scissors, it's an excellent all-round cutting comb suitable for scissor over comb work.